Aulani is located on the island of Oahu in Hawaii! It’s on the SW side of the island in the area called Ko ‘Olina, and is about a 45 minute drive from the Honolulu Airport. I believe you can hire a shuttle to get you from the airport to the resort, but if you plan on seeing anything around the island I would recommend renting a car. But take the cost of nightly parking into consideration, which I’ll mention below. Parking costs $40/night but is free for DVC members. Valet parking is also available. When looking for a parking spot, go down to the lower levels. We consistently found parking down there when all other levels were full. If you are a DVC member, just use your room key to get in and out of the parking garage. ‘Ama ‘Ama- This is the signature dining restaurant at Aulani, and we ate here three times! 2 dinners and one breakfast, all of our meals were amazing! Seriously some of the best meals I’ve ever had. If you can swing it, definitely go here for a meal! It’s open for breakfast and dinner. Makahiki- open for breakfast and dinner, this is the buffet option. breakfast is a character meal, and certain nights offer a character dinner. We did the character breakfast and the regular dinner, and it was really expensive. I would suggest it if it’s your only option to see characters, but otherwise I would say you can skip it. Ulu Cafe- This is the quick service restaurant and is open all day. They have breakfast sandwiches and platters for breakfast, plus grab an go options, poke bowls for lunch and dinner options. They also have pizza available for takeout which we got one night. You can purchase a refill the resort mugs here. The ‘Ōleolo Room- This is the lounge that serves cocktails and appetizers. Live music is played most nights. We meant to spend some time here, but didn’t end up getting to it! Wailana Pool Bar- This pool bar is close to Ulu Cafe and the adults only pool. They have specialty coffees in the morning, cocktails and popluar lunch options. Off The Hook- This is the larger pool bar, closer to the main pools. There are table you can sit at, which we did on our first full day. If you are relaxing on lounge chairs by the pool or beach, servers will come around with menus and can bring food and drinks to you. If you don’t want to carry cash or credit cards and your key to the world car is set up to charge, you can charge the bill to your room. Mama’s Snack Shop- They are open for lunch and throughout the afternoon with options like fish and chips, chicken tenders and sandwiches. There are picnic tables nearby. 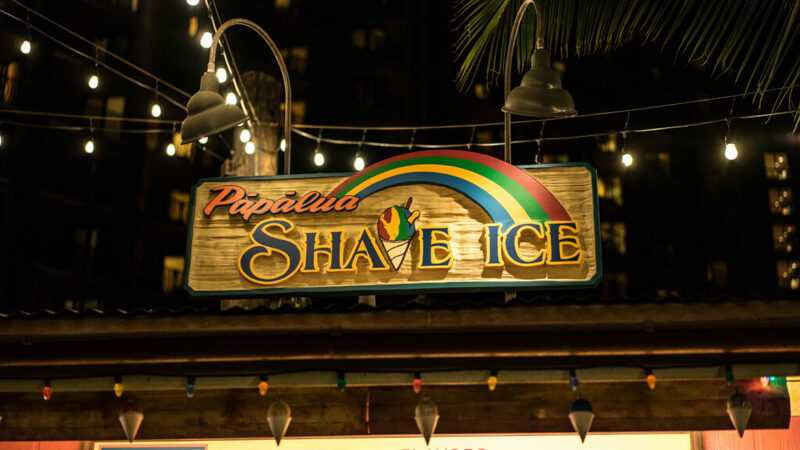 Pāpālua Shave Ice- right next to Mama’s Snack Shop is where you get shave ice at Aulani! For an extra dollar you can add Mickey ears! Little ‘Opihi’s- This little stand is down by the beach, and we went here to get Dole Whips quite a few times! In Room Dining is also available, but it expensive. We almost ordered it one night but ultimately decided against it. General Admission is $129 for adults, $79 for children 3-9 and infants are free. VIP is $169 for adults, $109 for children 3-9 and infants are free. This is a 3 hour event and of course has Disney characters. If you don’t “need” to have the Disney version, there is another luau within walking distance of Aulani that might be less expensive. It’s called Paradise Cove. We opted to not do a Luau because we are pescatarians, but you do you! This is your daily schedule, of all of the activities happening that day at the resort. You can grab one at the front desk (we did when we walked around the resort every day). I show an example of the schedule in the video at the bottom of the post! 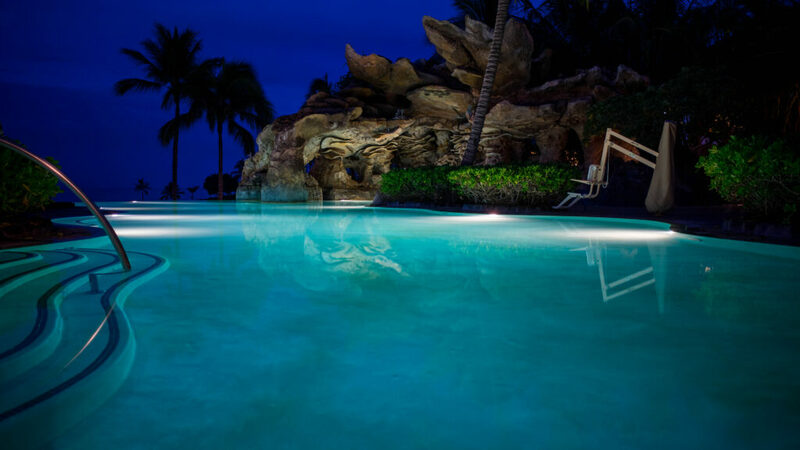 There are tons of pools at Aulani! Zero entry pools, splash zones and activity centres for kids, and spaces just for adults. There are two waterslides (one to use with inner tubes and one without), and a lazy river! The adult pool is much quieter than the main area, and is off to the side by Ulu Cafe. Once we figured out where it was, we spent a lot of time there! We also relaxed on the chairs in front of ‘Ama ‘Ama a lot. The pools are only for guests, and you need to make sure to get a wristband ever day. There are stations of water located near the pools, which is nice when you’re getting hot! We had booked an excursion to Kualoa Ranch through Disney’s Tour Company called Adventures by Disney. We booked before our trip because it was the one thing I was really excited to do! Well in the fine print it states that excursions can be cancelled if there aren’t enough people are signed up, and our tour was cancelled. 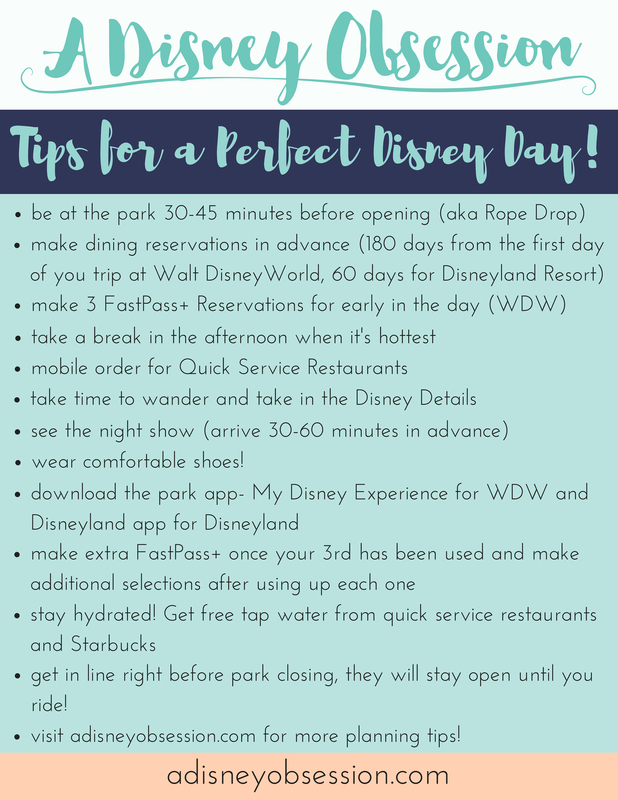 So, if you plan on doing something through Disney, I would also book it separately if you can, so if the Disney booking gets cancelled you can still enjoy your day! We didn’t, and weren’t able to book anything last minute, which was disappointing. Luckily it gave us another day at the resort to relax! There is a small building down by the beach that offers different rentals. Boogie boards, paddle boards, buckets and shovels for kids, lots of stuff! If you have your card set up to charge to the room you can use your Key to the World card for the rentals. The chairs by the pools are VERY popular, and people “save” them quickly. Towel and wristband distribution starts at 8AM, and people start saving chairs even before that. If you are planning on relaxing by the pool, I would suggest saving chair as soon as possible. If towels are left unattended for an hour, they will be folded on top of the chair, and again if it’s untouched it and any other items will be removed and sent to lost and found. There are separate lines for DVC members for towel and wristband distribution. Just show your room key to get your wristband (it will say if you are DVC). DVC member wristbands are sparkly and say member on them. There are 3 shops at Aulani: Kālepa’s Store is right off the lobby and carries your typical Disney merchandise like spirit jerseys, hats, stuffed animals ect. 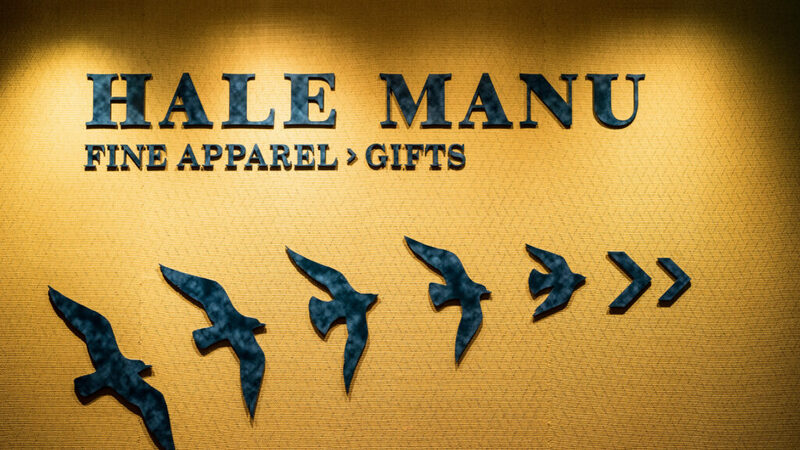 Further down the hall is Hale Manu, the more upscale store that sells designer products. Lastly there’s the Lava Shack that is right across from Mama’s Snack Shop and sells more pool and beach products like towels. The rooms at Aulani are beautiful, and there are lots of options for room sizes! We stayed in a DVC Deluxe Studio, and check out this video for a tour of our room! They have 1, 2 and 3 bedroom villa options available as well. We loved our room and we happy we splurged on an ocean view room. You can request to be on the inside of the U shape, but they can’t make any guarentees. We did and got our request, and it was lour during the day but we enjoyed being able to see everything from our room. Because it was our honeymoon we splurged and visited the spa for a couples massage. It was very expensive, but we planned it on our last day and it was a relaxing way to spend a few hours before starting the long trip home! If you are a DVC member like me, there are lots of discounts around the resort, some of which I’ve already mentioned. It will be noted on your Key to the World Card (room key), but make sure to keep your DVC membe card on you as well. 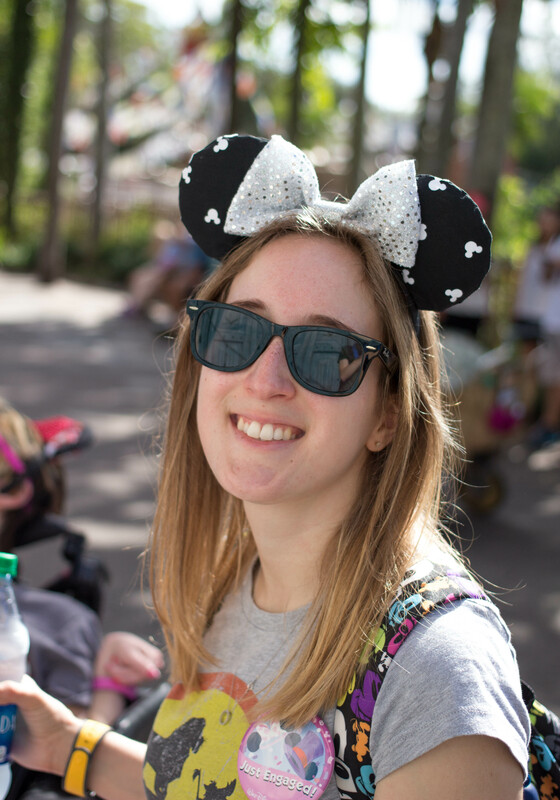 There are tours and activities available for DVC members (we did the Cultural Tour and really enjoyed it)! There is also a Community Hall where you can rent movies to watch in your room, and play games. We also did the DVC character meet and greet that happens certain evenings. Check the Daily Iwa for times! 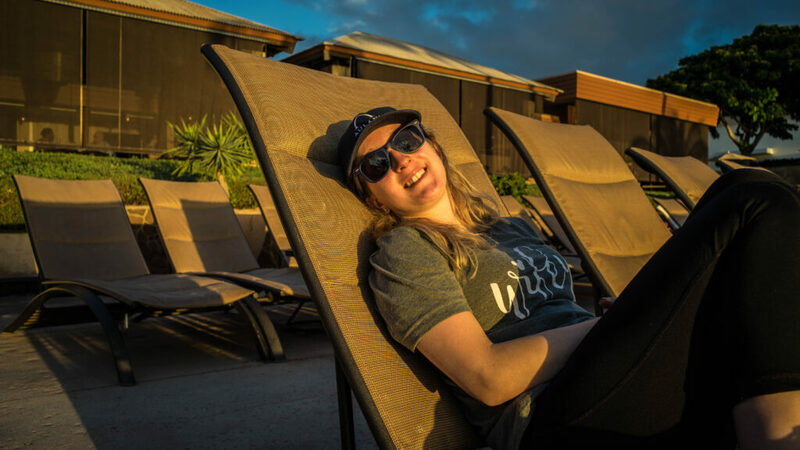 If you aren’t a DVC member, you can rent points to stay at Aulani at a reduced rate so you can enjoy the larger acommodations, but unless you have a membership card you won’t be eligible for discounts. There is a sales office located off of the lobby, as well as rooms open for tours and booths located around the resort. Characters roam the resort and also have certain meeting times at certain locations! You can call the character line from your room during certain hours of the day to find out who will be meeting where and when. I loved seeing the characters meeting near the pools, it was different from Walt Disney World for sure! 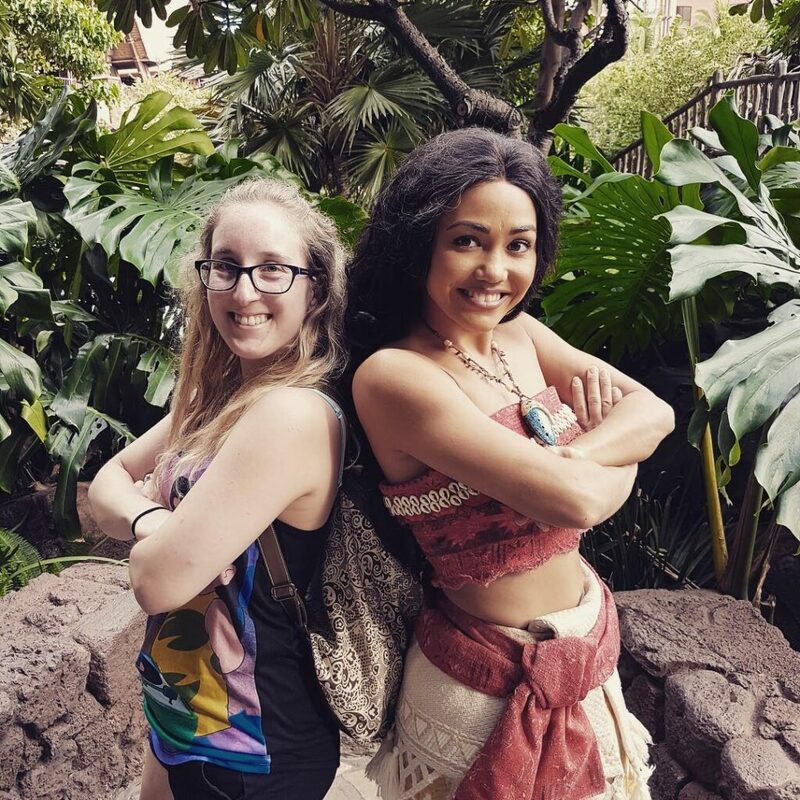 The highlight for me was defnitely meeting Moana! Monkeypod, Ice cream shops, Vintage Island Coffee, and some other shops are located within walking distance across the street. We had two dinners at MonkeyPod, and I would suggest going here over Makahiki. Get the pie for dessert! Also Vintage Island Coffee has delicious Açai bowls and coffee! Costco, Target and lots of other shops are about 15 minutes form the resort. We stopped at Target to grab some snacks on our way to the resort, and it was right off the highway. For more information, check out Aulani’s website here. 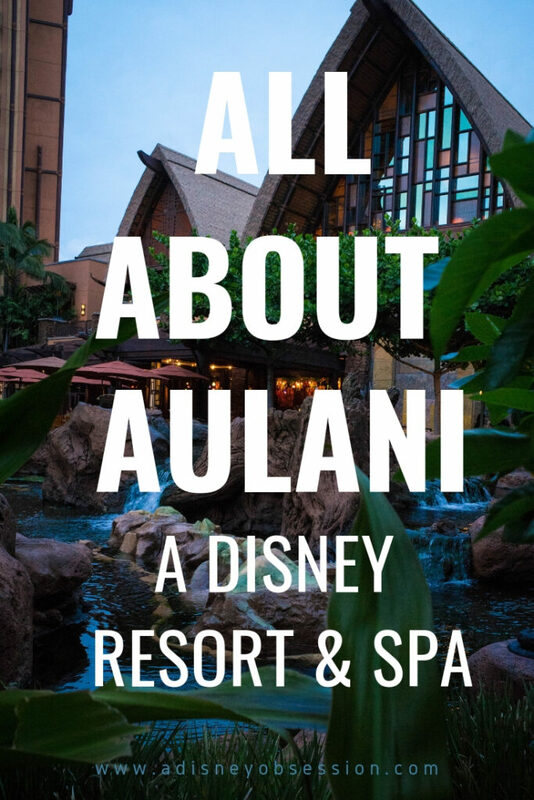 If you’d like to hear more about Aulani Resort, check out the video below! 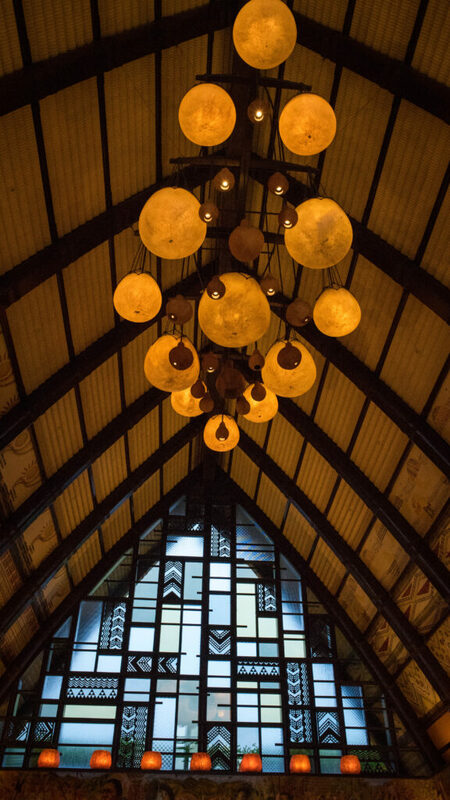 If you’ve been to Aulani before, leave some tips below! And if you have any questions, I’ll do my best to answer them in the comments below!